Every Christmas tree can use one more ornament! Christmas Ornaments North Pole Pop! Have fun browsing through these ornament collections. You are bound to find something to make you smile! --and if not, message me. Not all of my ornaments are shown. 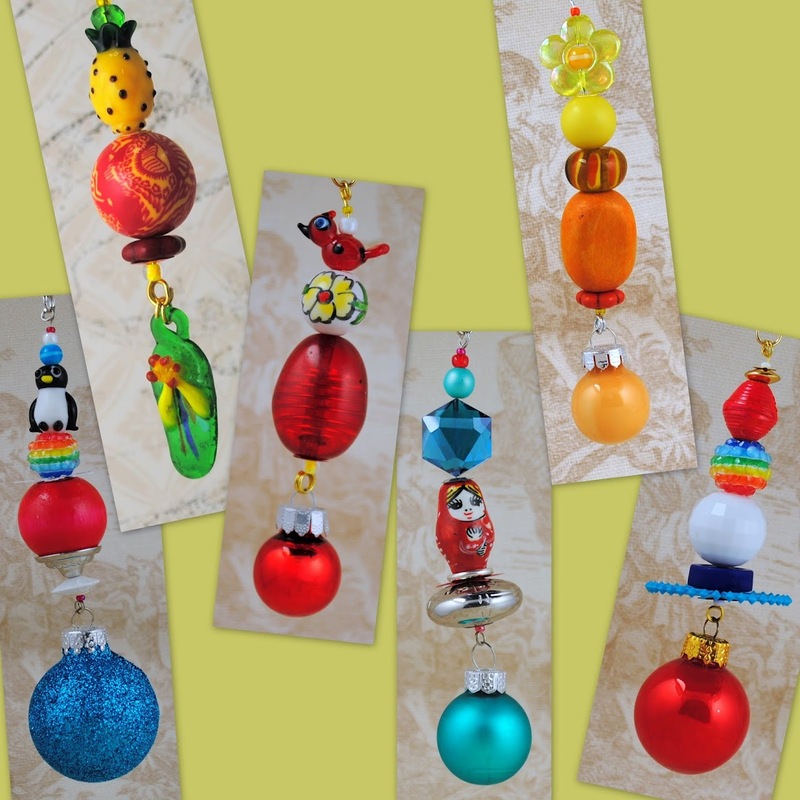 Each of my handmade Christmas tree ornaments is one of a kind. I use an assortment of vintage and new jewelry, vintage and new glass ornaments, glass, wood, bakelite, enamel, resin, metal and acrylic beads, enamel and silver tone charms, silver filigree and gold vermeil spacer beads and beadcaps. 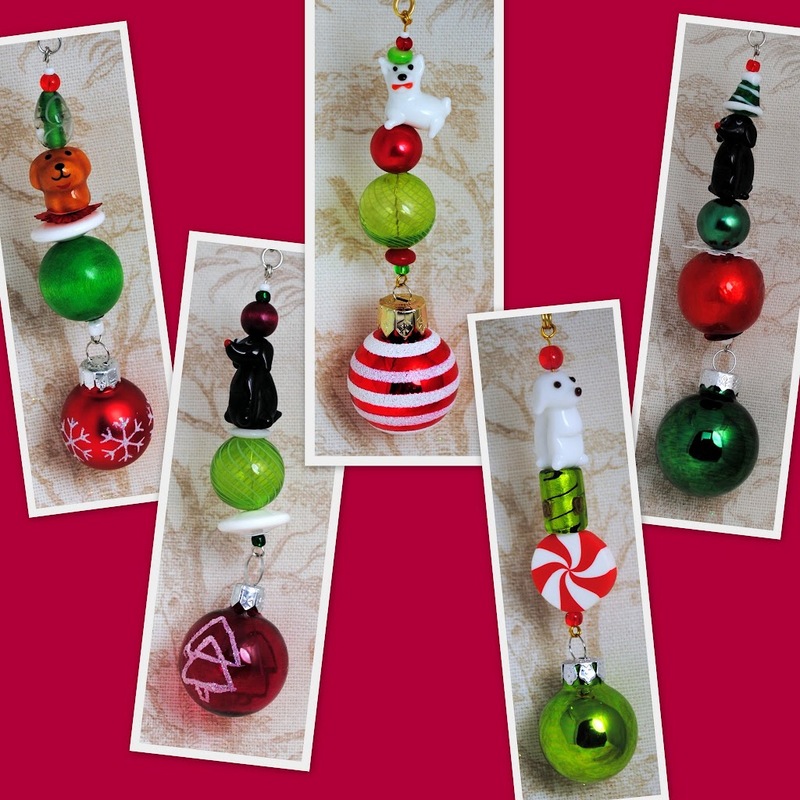 My ornaments range between 2 3/4" and 7" long. Discounts for quantities, as well as shipping discounts.